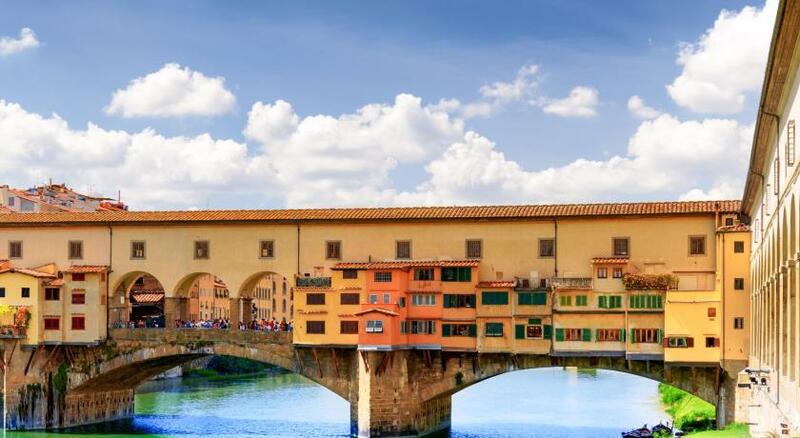 Lock in a great price for NH Collection Firenze Porta Rossa – rated 9.1 by recent guests! Great property, perfect location in Venice. Our room was nice and spacious, better than expected - would definitely stay again. 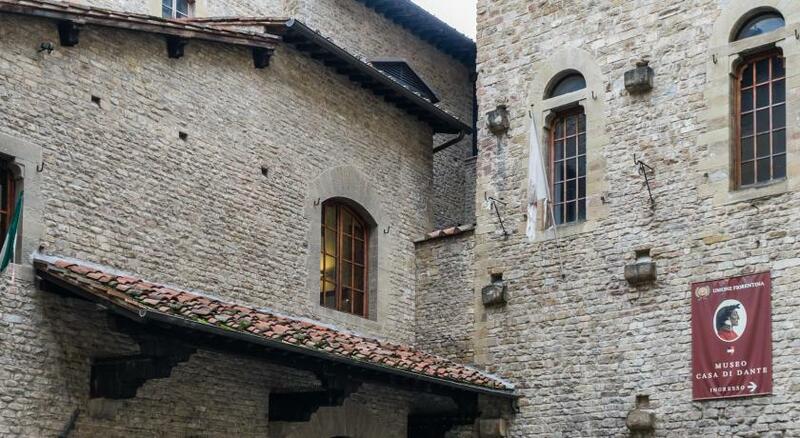 We were not aware at the time If booking that this property is the oldest hotel in Florence. It has been restored keeping a beautiful feel of the old with a perfect balance of the new. He frescos, stained glass and furniture are beautiful. The staff is so helpful and service minded. The location is exceptional to the center and all attractions- we walked 5 minutes to everything. We highly recommend this property. The service provided by the staff, especially Noemi in guest relations, was our greatest surprise and delight. She promptly responded to numerous emails and customized our perfect holiday. We also got fabulous restaurant recommendations. Noemi even found us the morning of our departure and wished us safe travels. Excellent location, good staff. 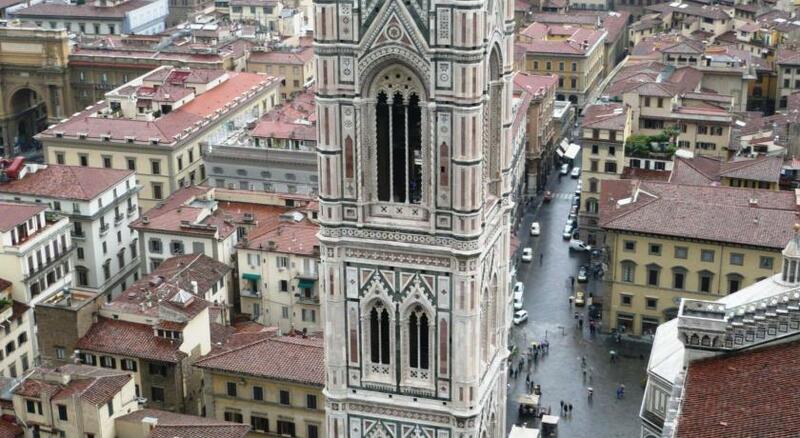 Firenze is really an amazing city. I forget AppleTV in the room and I call them to check with them how I can take it from them they said that we didn’t find it !?? Perfect hotel, perfect staff, 5 stars quality. Thank you for upgrading my room and for all the attention that I received. The property is beautiful and well situated for city walking. 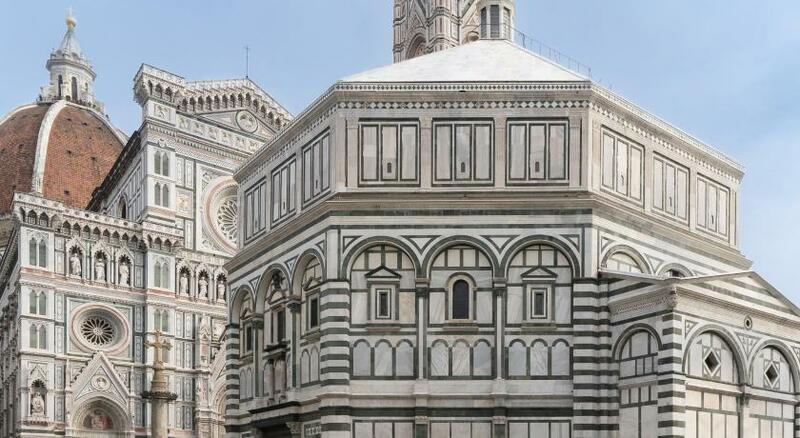 It was very easy to explore Florence by walking from this location. I loved the history of the building the hotel was located in. The oldest hotel in Florence and it was surprising the there were no signs of the hotel being worn out. The room was antique and beautifully decorated. They celebrated my mothers birthday and put a special rug in front of the door. Something that wasn’t unusual to NH collection group, we were upgraded to a suite. So far, I have never been to an NH collection hotel without getting a plus room upgrade. The location was very good and close to the major attractions. We were also given a mini collection of perfumes as a gift. Beautiful facilities. The location and staff were also fantastic. 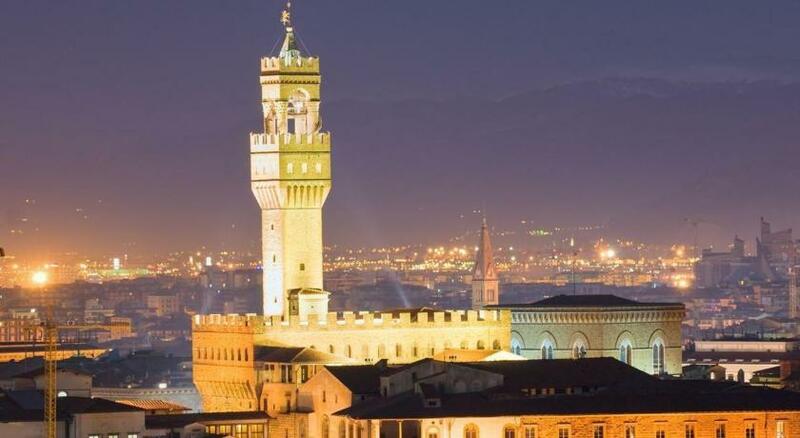 NH Collection Firenze Porta Rossa This rating is a reflection of how the property compares to the industry standard when it comes to price, facilities and services available. It's based on a self-evaluation by the property. Use this rating to help choose your stay! One of our best sellers in Florence! 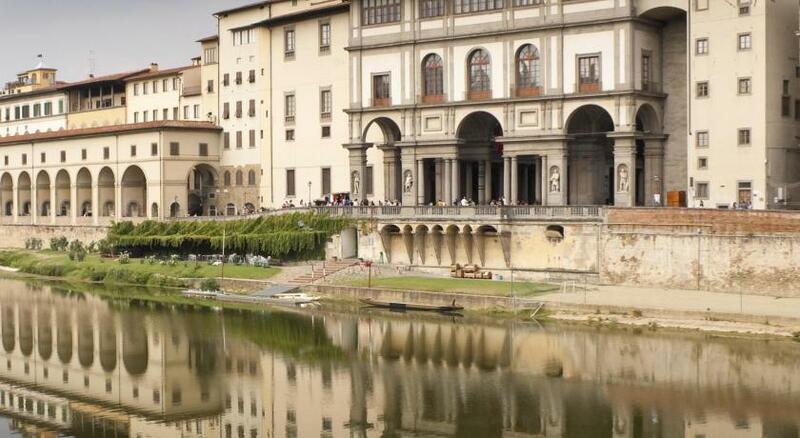 Located 1,150 feet from Ponte Vecchio, NH Collection Firenze Porta Rossa is an elegant 5-star hotel in Florence. It offers uniquely decorated rooms with modern décor, free Wi-Fi and a flat-screen TV. 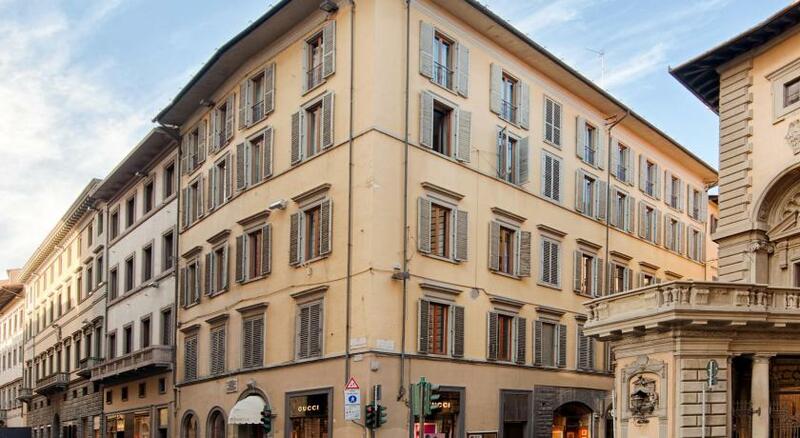 All rooms at the Firenze Porta Rossa hotel include air conditioning, a mini-bar and private bathroom. 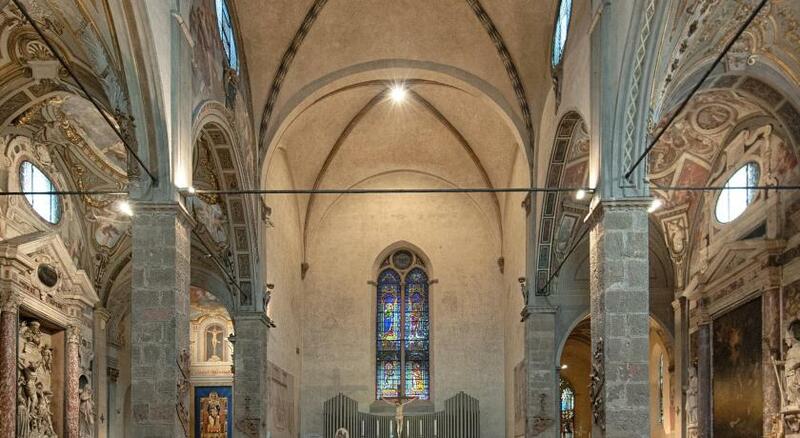 Some also feature original frescoes. Ironing facilities are available on request. The Savini Tartufi Truffle Restaurant Firenze restaurant serves local cuisine and Italian classics, specializing in Truffle-based dishes. An extensive buffet breakfast is served daily in the elegant dining room. Discounted rates are offered at Savini restaurant. 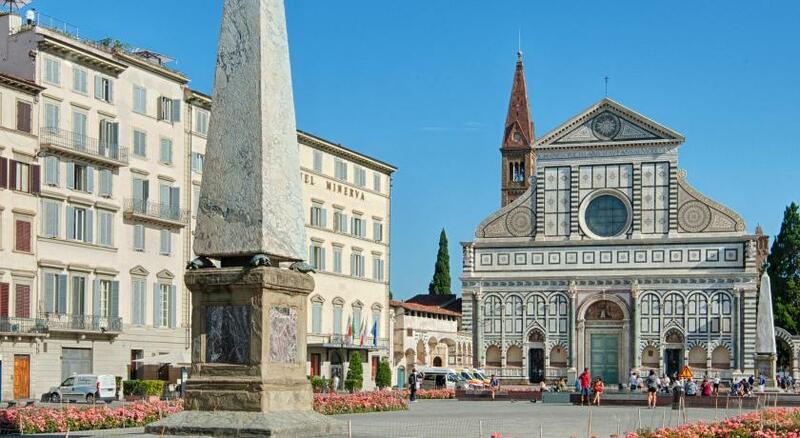 Located in a pedestrian area, NH Collection Firenze Porta Rossa is 1,650 feet from Florence Cathedral and 1,000 feet from the Uffizi. The 12th-century Monalda Tower is also part of the hotel. 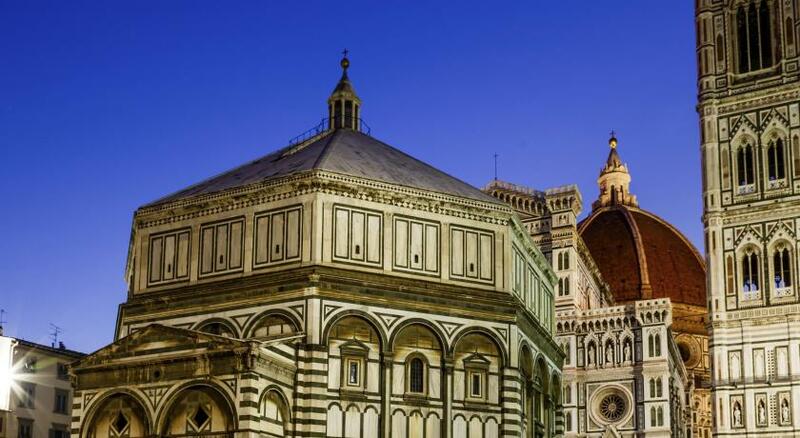 When would you like to stay at NH Collection Firenze Porta Rossa? This elegant room is air-conditioned and includes coffee and tea facilities, an LCD TV, and a mini-bar. A choice of pillows is available, and the private bathroom is complete with a professional hairdryer, complimentary toiletries, and a bath tub or rain shower. WiFi is free. This spacious, air-conditioned junior suite is decorated in warm colors. It comes with wooden floors, a mini-bar, and a choice of pillows. Soft bathrobes and slippers, a professional hairdryer, and complimentary toiletries are available in the private bathroom. WiFI is free. Some rooms have frescoed walls or ceilings. This elegant, air-conditioned room comes with wooden floors and includes an LCD TV, coffee and tea facilities, and a mini-bar. A choice of pillows is available, and the private bathroom is complete with a professional hairdryer, complimentary toiletries, and refined bath linen. This elegant, air-conditioned room comes with wooden floors and includes a mini-bar, coffee and tea facilities, and an LCD TV. A choice of pillows is available, and WiFi is free. The private bathroom is complete with soft bathrobes and slippers, a professional hairdryer, and complimentary toiletries. This spacious, air-conditioned room comes with wooden floors and modern furnishings. It includes an LCD TV, coffee and tea facilities, and a mini-bar. Soft bathrobes and slippers, a professional hairdryer, and complimentary toiletries are available in the private bathroom. WiFi is free. This spacious, air-conditioned room comes with wooden floors and modern furnishings, perfect for the families. It includes an LCD TV, coffee and tea facilities, and a mini-bar. Soft bathrobes and slippers, a professional hairdryer, and complimentary toiletries are available in the private bathroom. WiFi is free. NH Collection Porta Rossa has an almost millenary history.The building is coming from different ages, starting from the 13th century. 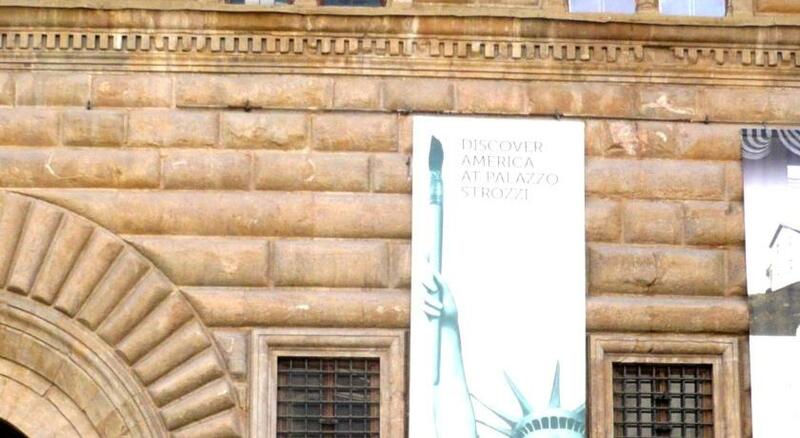 Feel the charme of the Palazzo and fall in love with the renaissance atmosphere filling every corner of the property. Moreover this hotel is ECO-FRIENDLY; certified according to ISO 14001 and 50001 standards. 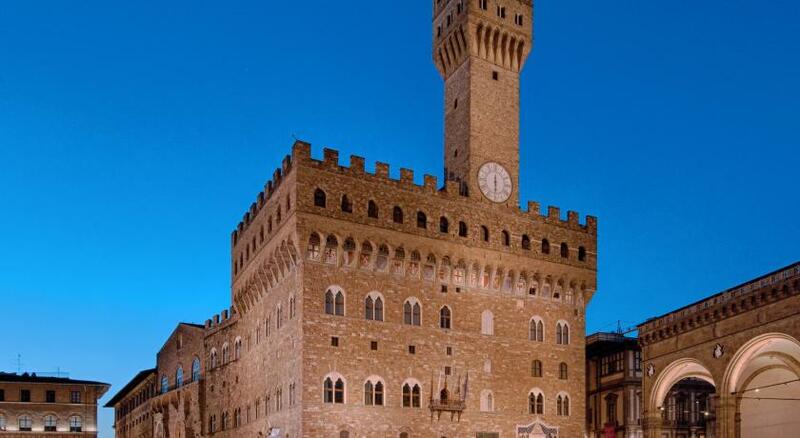 House Rules NH Collection Firenze Porta Rossa takes special requests – add in the next step! 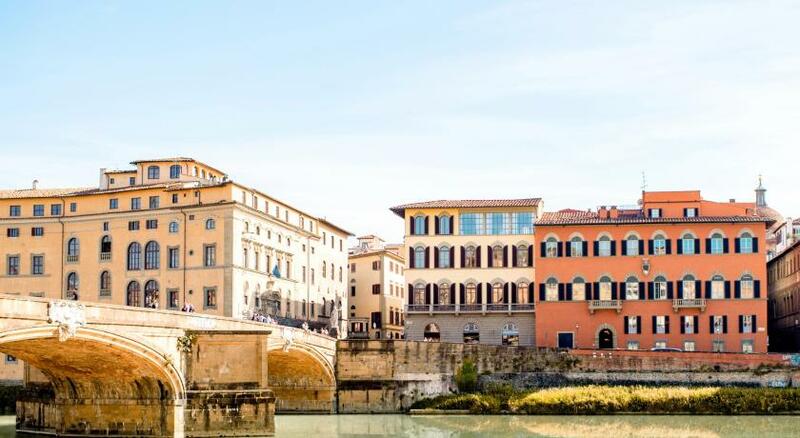 NH Collection Firenze Porta Rossa accepts these cards and reserves the right to temporarily hold an amount prior to arrival. Beds are small and no bath tub and i would rate it as a three star hotel. Bed huge and very comfortable, location amazing, staff wonderful. Poor quality of room service food. Cleaning service not consistent, after 20 days I left with luggage and toiletries full of dust. One employee that spoke Portuguese recognised I was Brazilian and was inconvenient. Best location! Good breakfast, many options on buffet. Front line employees very nice and service oriented. I stayed for 20 days and they already knew my preferences and anticipated services. Fantastic location....few minutes away from all the attractions. Staff are all very well informed and they guided us perfectly with timings and also venues. They made us feel comfortable in every way possible and also upgraded our room upon arrival. Will not hesitate to stay at NH PR again!!! The hotel and staff were absolutely anazing!